Aquascape Pond Plant Fertilizer (10-14-8) feeds all types of aquatic plants including waterlilies. 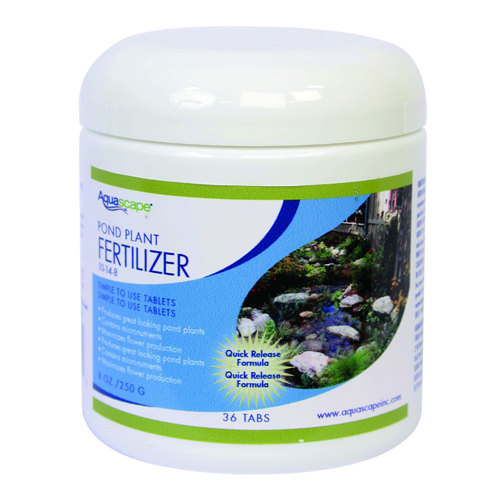 Aquascape Pond Plant Fertilizer provides an initial quick-release of nutrients that insure proper growth and longer lasting blooms for up to 45 days. Depending on the size of the lily we recommend a minimum of 2 tablets for plants contained in pots from 1-3 gallons, 3-5 tablets for larger plants. Apply once per month by pushing the tablet into the soil in and around the plant roots.